Three O'Clock Bears: PRIMROSE..the secret bunny! Finally I am allowed to reveal my secret bunny! 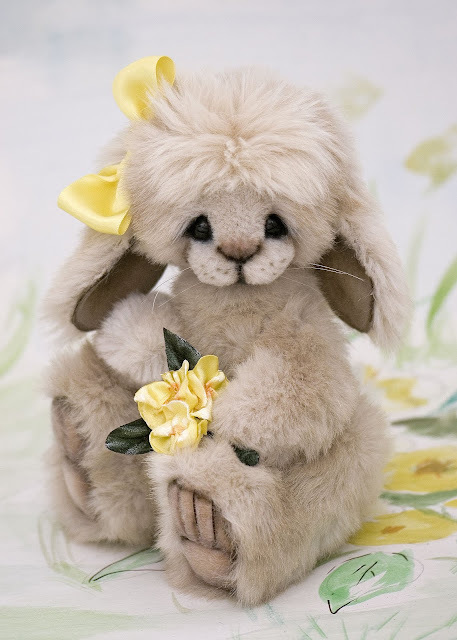 She is called Primrose and she will be available from SILLY BEARS SHOP in ABERDEEN on Friday!﻿ This sweet bunny is featured on the Silly Bears Easter cards and is absolutely gorgeous! I painted a 'set' for her to pose in ...with blue sky and primroses it is the ideal card for spring!! Have a happy EASTER whatever you are doing. 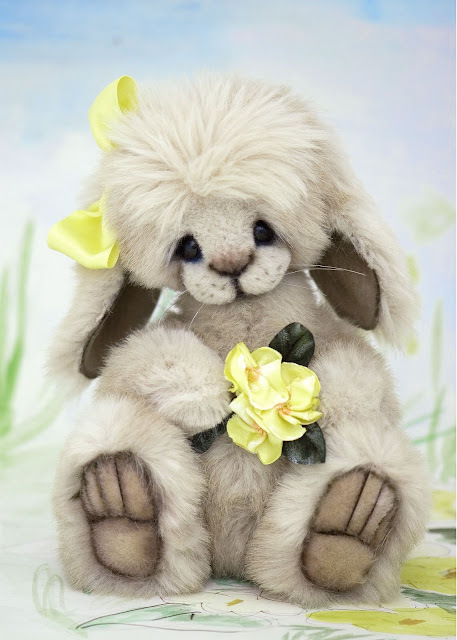 Primrose will be available in the shop but if you would like details get in touch with Julieann.